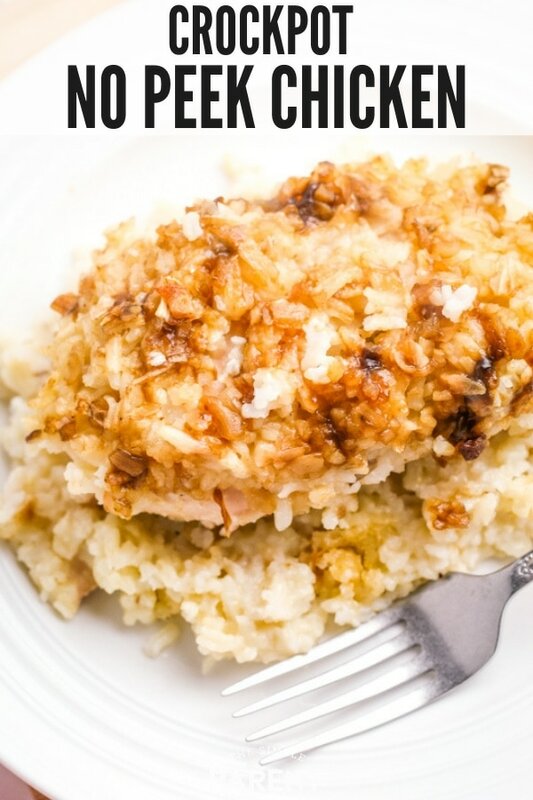 Home » recipes » Crockpot No Peek Chicken is the Easiest Dinner Ever! Crockpot No Peek Chicken is the Easiest Dinner Ever! you’re a busy mom with older kids or you’re a new mom with a baby, having easy dinner options is always important. But when you’re a new mom, planning dinner for yourself or the rest of the family might be an afterthought. So having simple meal ideas is key. 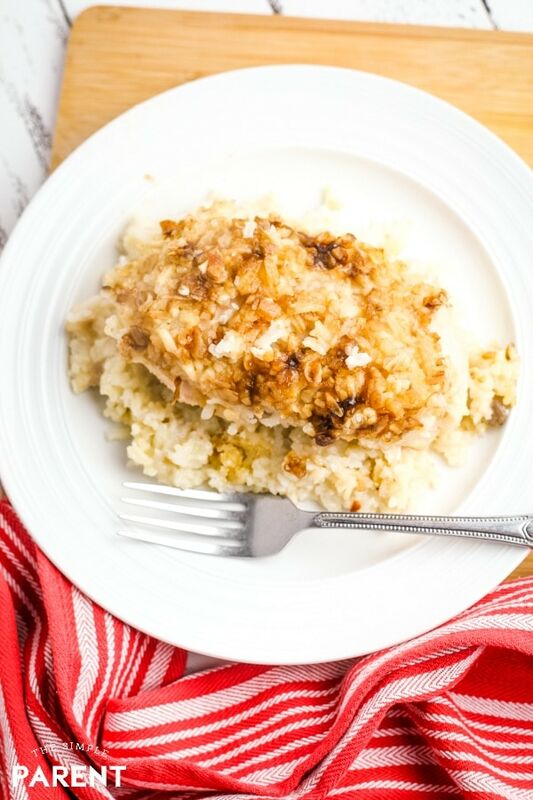 This Crockpot No Peek Chicken is the easiest dinner recipe around! When you have a new baby in the house, the days and nights are all busy. But it’s important to keep everyone fed, including baby AND mom. While the baby often becomes the priority, it’s important that parents take care of themselves during this busy time of life. That means easy meal ideas are a must. For our family that meant our slow cooker got quite the workout because slow cooker recipes are usually easy to dump and go. Hours later, dinner is ready! 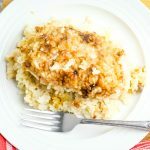 No peek chicken is one of the easiest recipes to make and should be a staple for any family with a new baby. It’s a one pot chicken and rice meal that is sometimes called forgotten chicken because you can put everything in the pot and forget about it! When you’re in the middle of changing diapers and making bottles, this is huge! One of the challenges of having a newborn is figuring out the best way to feed your baby. Every family has a different routine that works well for them. For our family, it was a combination of breastfeeding and formula feeding. That means I was always on the hunt for the best infant formula for my children. Whether you’re a breastfeeding mom or a formula feeding mom, you need to make sure you’re eating enough to have the energy to be the best mom you can be. So put this no peek chicken recipe in the Crockpot and then feed your baby. If you’re using infant formula, new Comforts™ Infant Formula at Kroger is a great option. The formulas are nutritionally comparable to leading brands and you can save up to $400 with the Comforts™ formulas! Comforts™ Infant Non-GMO is nutritionally tailored for infants, with DHA and choline to help support brain development. It’s their closest formula to breast milk. Comforts™ Sensitivity® Infant Formula and Comforts™ Advantage® Infant Formula feature 2’-FL HMO which means they feature a prebiotic that helps establish beneficial bacteria for immune support to help your baby’s immune system to be more like the immune system of a breastfed baby! Once you have your baby fed with an infant formula you feel confident about, it’s time to make sure you get yourself fed! 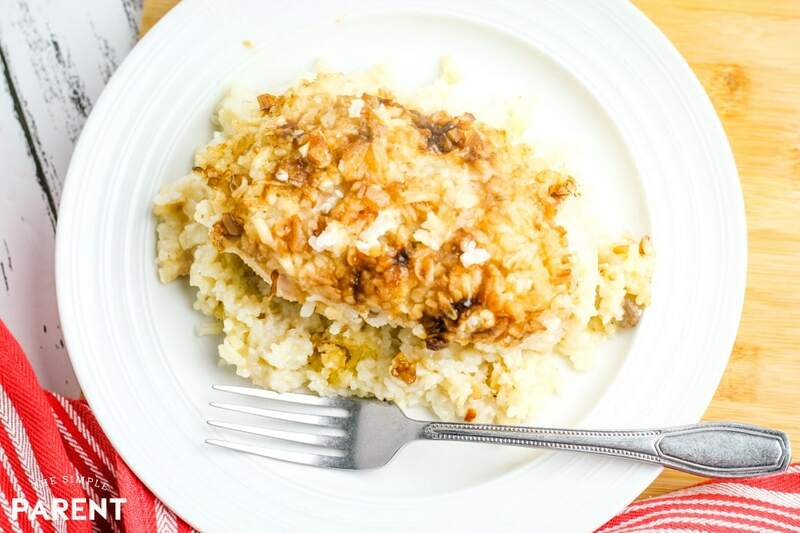 Crockpot No Peek Chicken is an easy meal for new parents! This Crockpot chicken recipe has a very simple ingredient list that you might have most of in your kitchen already! 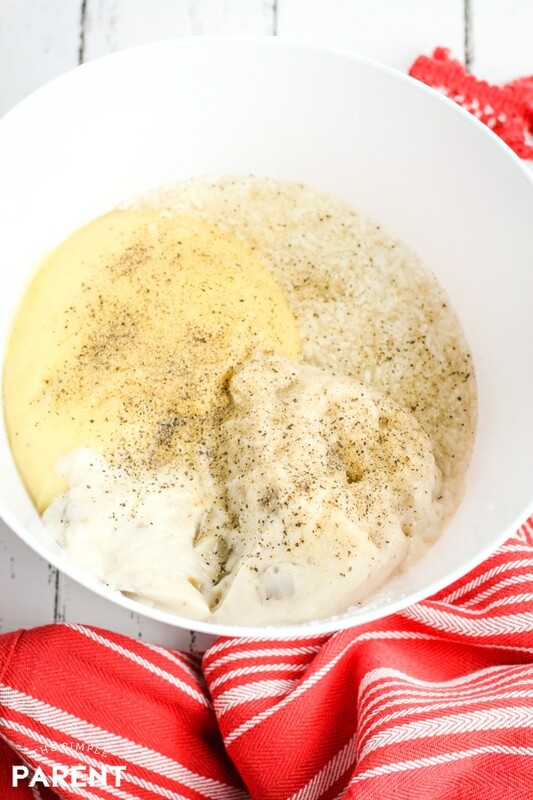 In a large bowl, combine instant rice, cream of chicken soup, cream of mushroom soup, water, garlic powder, and pepper. Stir to combine. Spray the inside of the Crockpot with non stick cooking spray or use a liner. 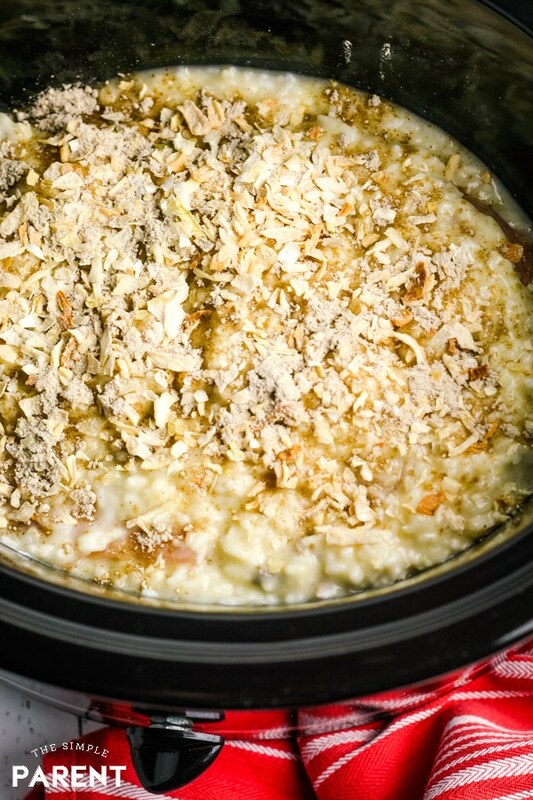 Place half the rice mixture in the bowl of a crock pot. Place chicken breasts on top of rice mixture. Top chicken breasts with remaining rice mixture. Sprinkle onion soup mix on top of all ingredients. Next time you’re grocery shopping, be sure to grab everything you need to make Crockpot No Peek Chicken for dinner! 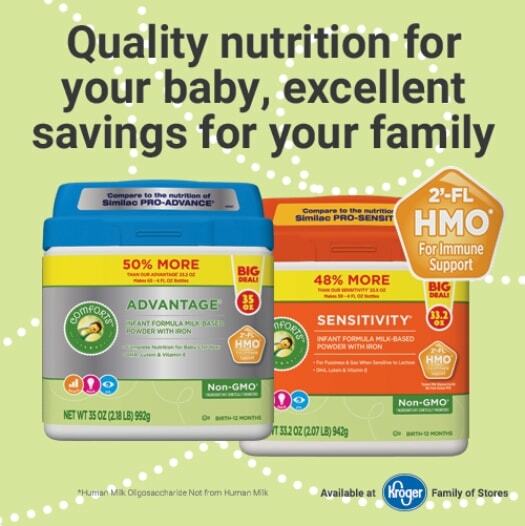 You can get everything you need at Kroger while saving money on infant formula for your little one! 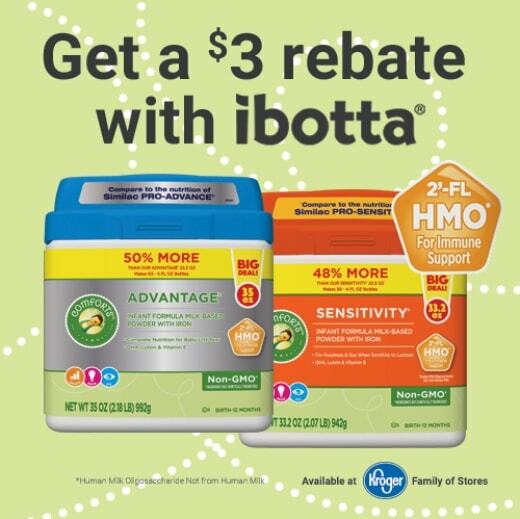 Right now you can save even more by using this great Ibotta offer! 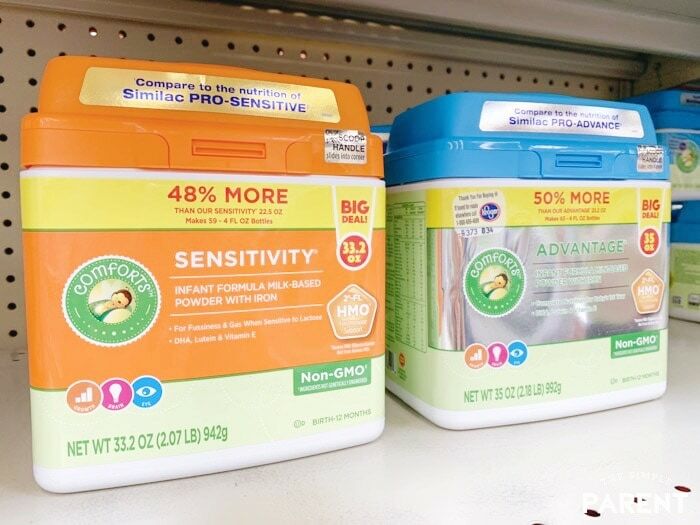 Click here to save $3 off one Kroger Comforts Formula (any variety, 30 fl. oz. or larger)! You can redeem this offer up to 2 times per receipt! WHAT CAN YOU MAKE WITH CHICKEN AND ONION SOUP MIX? 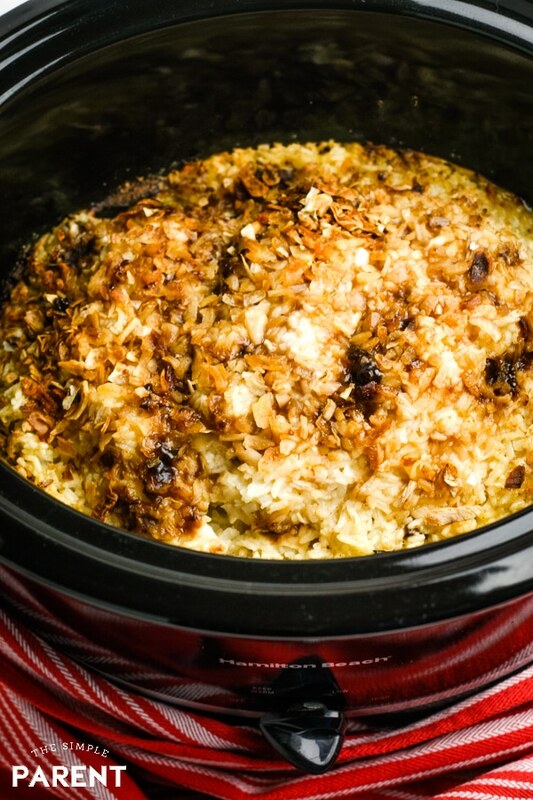 Chicken and onion soup mix are the two basic ingredients in this slow cooker chicken breast and rice recipe! 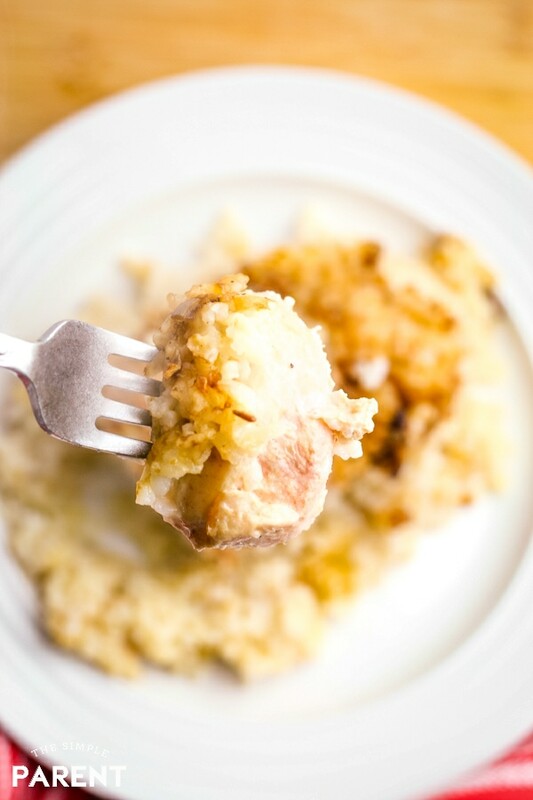 If you don’t have a slow cooker, you can also make a no peek chicken casserole. It’s also easy to make as a one pan meal. All you have to do is heat your oven to 350 degrees then combine all of the ingredients EXCEPT the chicken and onion soup mix. Put the rice mixture into a 9×13 dish and then place the chicken on top. Sprinkle the onion soup mix over the top and cover with foil. Bake the chicken for 1 hour and 45 minutes to 2 hours. Remember that there is no peeking! Even if you bake it in the oven, there is no peeking by opening the oven or lifting the foil! WHAT KINDS OF RICE CAN I USE TO MAKE NO PEEK CHICKEN? I usually use Minute Rice. But you can use a variety of rice including Uncle Ben’s, Rice a Roni, and even a Zatarain’s mix! I haven’t had great success with regular rice that needs to be cooked longer so I always stick with Minute Rice. There’s just something about white rice that I love when I make no peek chicken in the Crockpot. I think it’s a comfort food thing! MY CHICKEN AND RICE TASTES TOO MUSHROOMY! If you’re not a huge fan of cream of mushroom soup (I know not everyone is) then you can just use a second can of cream of chicken soup! Or if you want more of the mushroom taste, you can also swap the cream of chicken for more cream of mushroom! The great thing about this chicken recipe is that you can play around with the recipe and make it perfect for your family! And it will still be super simple to make! 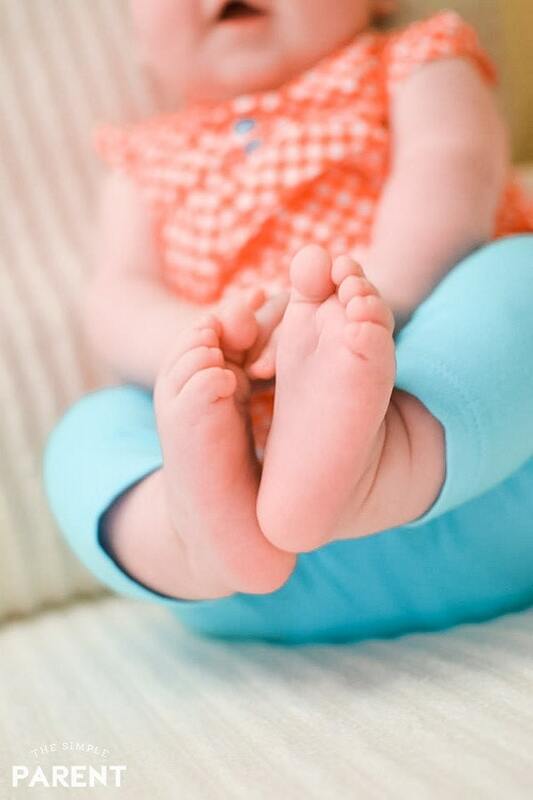 COMMENT AND TELL US ABOUT YOUR FAVORITE SIMPLE CROCKPOT RECIPE FOR NEW PARENTS!